It seems that multiple times per week we hear about a decking construction job that has gone sideways due to shady or unprofessional contractors. What can you do to protect yourself from unscrupulous builders when it comes to installing new vinyl decking or a new vinyl deck or patio? Take the example of Mr. and Mrs. Pizzulo, who hired a contractor (not a Tufdek™ contractor)to remove and install a new deck. After a 50% upfront payment and multiple delays, the contractor ripped out their old deck, put in a few posts, and disappeared. Other than standard marketing campaigns (flyers, radio/newspaper ads, etc.) a professional vinyl decking contractor should almost never be banging on your door looking for work. Probably the only reason that would make sense is if they are already working on a vinyl deck or patio in the neighborhood. While putting down a small deposit (up to 20%) is perfectly normal, a large cash deposit is not. For one, it’s harder to prove that the cash was paid, especially if you never see the contractor again. Second, without a written agreement you might end up with much less to show for your investment. There should be regular installment payments throughout the project (depending on length). Ideally, the final payment should be due after the project is completed, hopefully to your satisfaction. There are certainly a few terms that are specific to deck building, but if the contractor you approach sounds like a deck-building dictionary, beware. A good salesperson should be able to adequately explain the procedure and materials in terms the customer can understand. A contractor should be perfectly willing to lay out the entire project in writing. This should include caveats for delays, as well as when payment becomes due. Additionally, the contract should lay out whether your payments cover cost overruns. Without a written contract, you have very little recourse to prove that you had an agreement or the costs involved. Contractors eager to capture your business should have references handy for you to call. Additionally, they should have an online presence. Even if they don’t have a website, there should be a Google page or Facebook profile where you can see previous reviews. No online presence? Big red flag. The Better Business Bureau is a good place to go to, to find out if there have been any complaints about your contractor or their company. 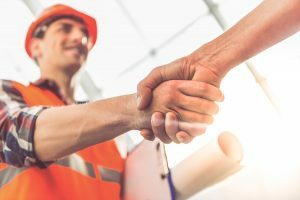 All reputable contractors should be licensed in the state/province in which they work. Any type of construction on a home will also likely need a permit. Any quality contractor should be willing to procure for you. Lack of either of these is a sign you should keep looking. A contractor who gets you signed up and then immediately begins to find “problems” that inflate the cost should immediately be suspect. There can be instances where a project can become more of an issue (especially with older vinyl decks and vinyl patios). However, it’s a good idea to get a second opinion if you’re wary. This is also another reason why a written contract is key. A contract spells out the details in clear terms should something like this come up. 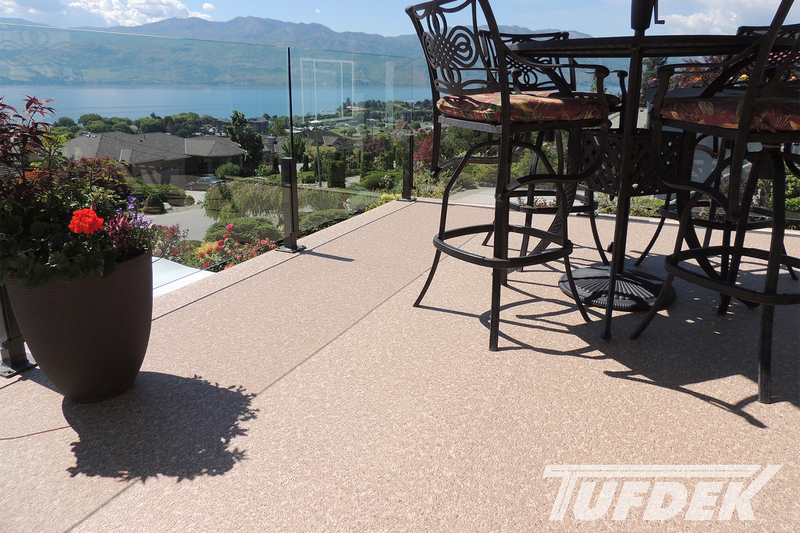 Replacing vinyl decking or adding/expanding a vinyl deck or patio is a big job, and you want it done right. Make sure you use a professional, licensed, vinyl decking contractor, so the job is completed to your satisfaction. 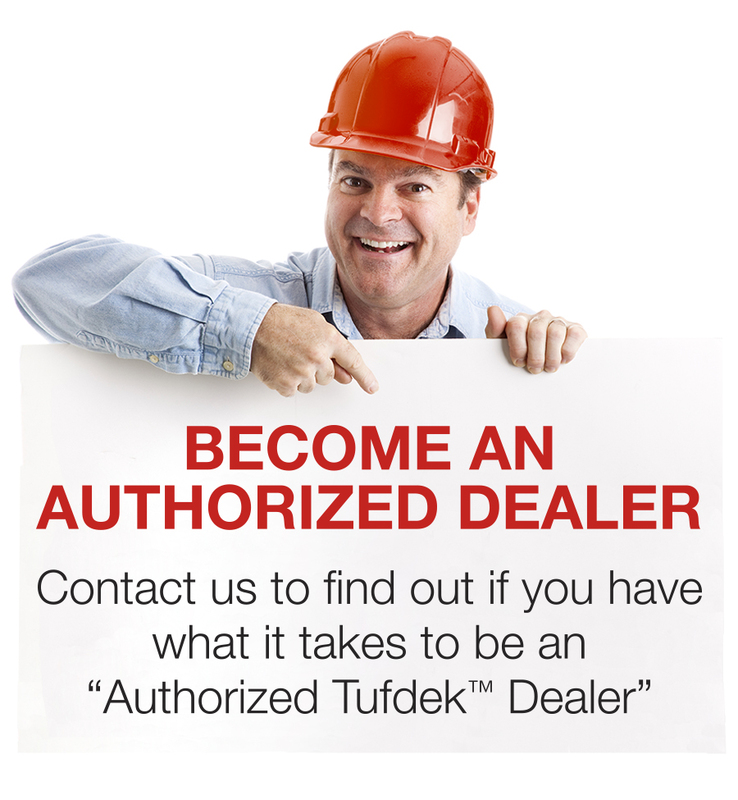 Better yet, find one that’s Tufdek™ trained and certified.